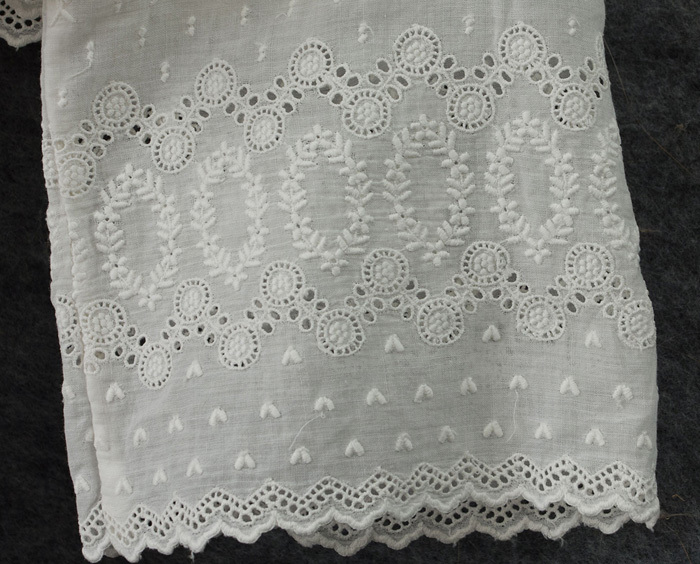 This charming young girl's dress is as pretty today as when it was made a century ago. 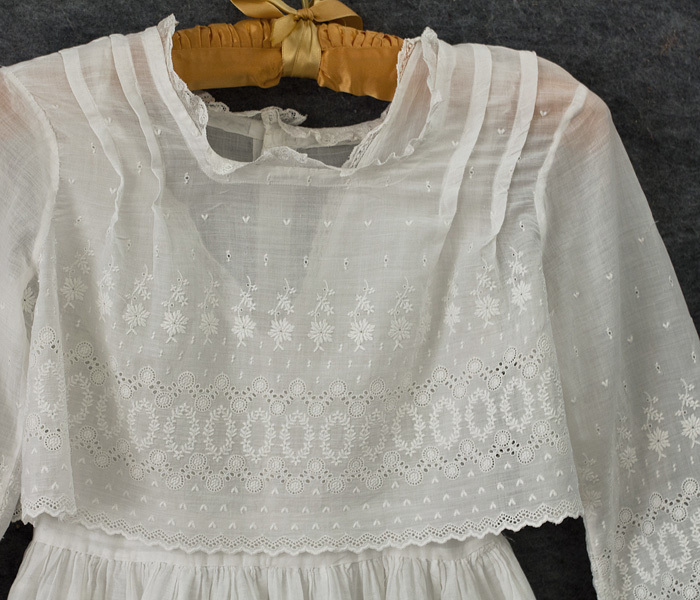 Found in excellent condition, it was probably worn for a special occasion like a confirmation, and then carefully stored away. 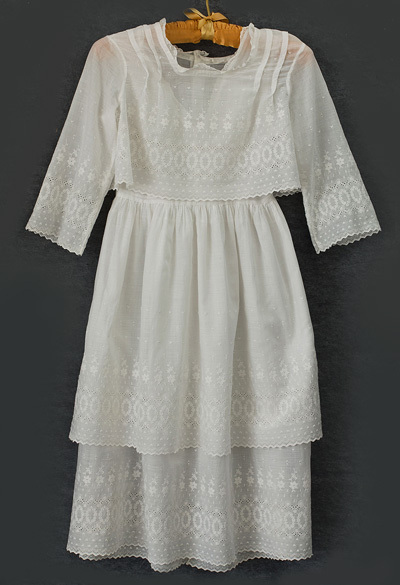 The two-piece dress is fashioned from machine embroidered fine white cotton. 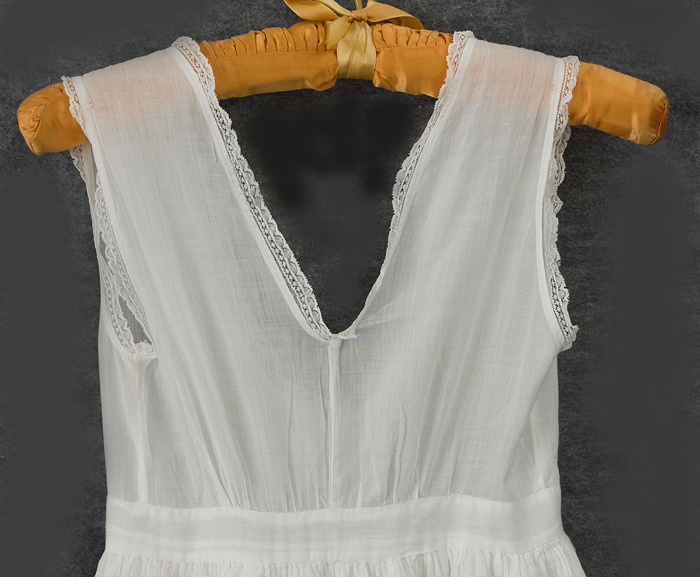 The underdress has a slip top and tiered skirt. The loose fitting over bodice has pleated shoulders and long sleeves. Both pieces close in back with snaps. The under dress measures: 28" chest, 25" waist, 1and 41" from shoulder to hem. The over bodice measures: 38" circumference and 12 " from shoulder to hem.